2.Menu operation, parameter adjustment is more simple and easy. 5.Provides temperature locking facility, production line process control. 7.Ring function, can choose to open or closed. 8.Software is more accurate and more convenient, long time use can still maintain the good performance. 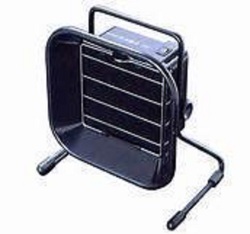 9.This product uses the low pressure heater, completely isolated grids, ensure the safety of the soldering. 10.Special design, saves more space. High frequency current heating; Astonishing heating speed ; Only within 15s to reach 300 from room temperature. 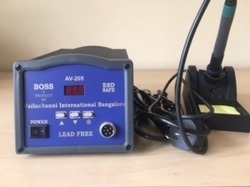 Perfect intelligent soldering effects ; Sufficient power varies with the sizes of soldering point effectively avoids negative impact by cold soldering etc. Extra-ordinary heat recovery ; Incredible temperature compensation speed can solve temperature problems occurring during the course of lead-free soldering. 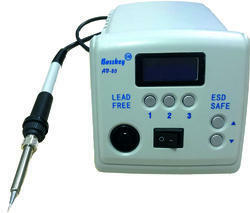 It is a must, may be a better tool for lead-free soldering and lower-temperature soldering. Extension of life of soldering tips ; Relative lower temperature will largely prolong the life of soldering tips. Auto sleeping energy-efficient ; Temperature drops to 200 when not in use for over 20 minutes.When work is needed again, Temp., reaches up to the set temp., rapidly. 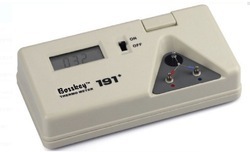 Temperature locking by password ; Stable soldering temperature ensures high soldering effects.Temperature can be locked by passwords to prevent inadvertent changes. 1.Brand-New model LCD screen display, can display a variety of setting parameters. 3.Visualization of the process control, simulation of heat intensity. more energy saving and environmental protection. 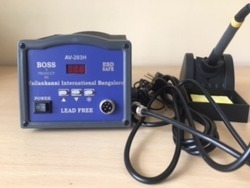 suitable for lead free soldering. 2.Mico computer control, set temperature only by pressing keys. 3.More functions available, such as auto sleeping, auto shut-off. 5.ESD safe design, various types of tips available. 6.150W big power design, 8mm soldering tips also could use! We are offering Soldering Smoke Absorber AV054. Characterishic :Table - Clamping,Tolding Arm. Application : For Semi Conductor, Electronic Component, PCB Boards Liner. 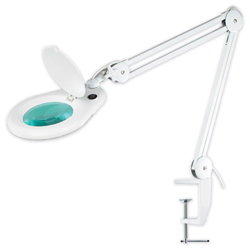 Looking for SOLDERING STATIONS ?